Effective altruism critique: Few charities stand up to rational evaluation. Donating to Little League does not make you a moral monster. 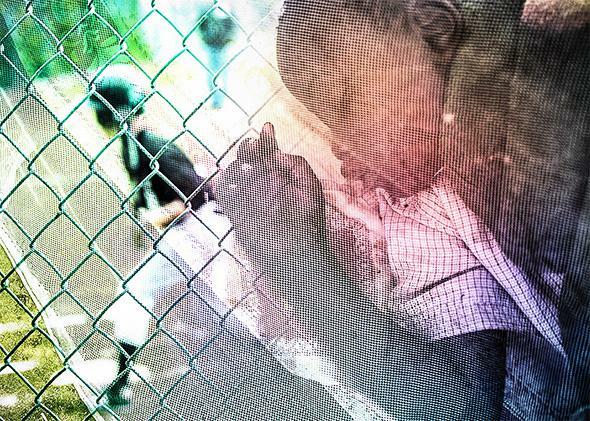 A Little League player behind a fence, and a child sleeping behind a mosquito net at a United Nations mission in South Sudan. Is this the choice? Photo illustration by Slate. Photos by Andrei Pungovschi/AFP/Getty Images, Thinkstock. Suppose someone walks by a pond and notices a bit of garbage floating in it. A devoted environmentalist, he wades into the pond, retrieves the garbage, and throws it in a wastebasket. However, he doesn’t help a small child who has fallen into the pond and subsequently drowns. We would all condemn this person, wouldn’t we? This implausible-seeming story is a metaphor for a movement called effective altruism. One of its major proponents, the philosopher Peter Singer, argued in a famous article published in 1972 that rich Westerners should contribute money to charities that help poor people in developing countries. Singer argued that failing to donate one’s excess income to international charities such as Oxfam is like failing to save a child from drowning when one can do so at no risk to oneself. A small amount of money can pay for malaria nets that save the lives of children in foreign countries. There is no morally relevant distinction between saving a child in a foreign country and saving a child one sees in a pond. If one is ethically obligated to save a drowning child at the cost of ruining one’s shoes or being late to an appointment, then one is ethically obligated to make donations to save children in poor countries. Singer is not always clear about how much wealth one should contribute for the poor, but he does mean a lot more than nearly anyone gives. But the idea that one should contribute one’s excess wealth to the poor is only one prong of effective altruism. Singer elaborates on the other prong in a new book called The Most Good You Can Do. After you resolve to donate your excess wealth to the poor, Singer says, you have an additional ethical obligation to ensure that the money is used in the most effective way possible. This might seem like an obvious idea, but it isn’t. Suppose you donate $5,000 to the local Little League so that it can buy baseball equipment for poor children. You might feel good about yourself, but an effective altruist will realize that this amount of money could be used to buy malaria nets or medicine that would save as many as five lives in a poor country. Then you should ask yourself: Which is better, some kids playing baseball or some kids getting a chance at life? Or put differently, should you really let children in Niger die so that some First World kids get to play baseball? This, of course, was the point of the story I began with, in which a person chooses to remove garbage from the pond rather than save the child. If we think that person is a monster, then we should regard nearly everyone as monsters. All of us who donate money to Little League baseball, environmental causes, schools, universities, and art museums are moral monsters because we don’t use that money to provide live-saving health care to the poorest people in the world. The logic can be taken further. It might feel good to volunteer an hour a week in a soup kitchen, but if you can earn money during that hour, you should instead work and then donate your pay to starving people in drought-stricken Kenya. The starving people in Kenya benefit more from your money than the denizens of a First World soup kitchen benefit from your time. If you can, you should also find employment as an investment banker rather than as a schoolteacher or social worker. You can earn a lot as an investment banker, and send even more excess income to poor people in Bangladesh. Your earnings help those poor people more than teaching or social work does. Teaching or social work in the United States, even when it benefits poor children or families, does a lot less good than earnings from the investment bank position being sent to the world’s poorest people. As Singer points out, poor people in the United States are wealthy by global standards; a billion people around the world live on about $500 per year. Those of us who give money to poor Americans are not likely to save many lives. Instead, we moderately improve the well-being of people who are, by world standards, already well-off. Instead, we should give this money to Oxfam so that it can distribute a few more malaria nets. People inspired by Singer have taken his logic even further. Some people have donated a kidney to a stranger, reasoning that a person with end-state renal disease benefits much more from a single kidney than the donor loses as a result of having one kidney rather than two. Singer himself has declined to take this step. Everyone has limits. Some people think Singer’s ideas are crazy. And it is true that in his new book he seems like a combination of two Dickens characters—Mrs. Jellyby, the “telescopic philanthropist” who obsessed over a tribe in Africa while neglecting her family at home, and Mr. Gradgrind, who cared about “facts” and disdained sentiment. Dickens portrayed both characters as morally and emotionally crippled. Yet it is hard to find any cracks in Singer’s argument. But here’s the puzzle. If the effective altruist is obligated to donate his money in the most effective way possible, how does he determine which charity to donate to? Thousands of charities exist, all of them clamoring for donations. “Meta-charities” have popped up to evaluate these charities, but even with their help it is extremely difficult to know whether a particular charity is doing good—and even harder to know which charity does best of all. A website called Charity Navigator tells you things like how much a charity spends on administrative expenses relative to the amount of money that goes to beneficiaries. While it exposes some terrible charities that consume more of your money than they pay out, it reveals little about the effectiveness of charities with low administrative costs. Another website called GiveWell takes a more rigorous approach and looks at how much a charity actually helps people. It has reviewed hundreds of charities and heartily recommends a grand total of four. GiveWell does not say that the other charities are worthless but typically declines to recommend them because they do not supply enough information for GiveWell to evaluate their programs. GiveWell declined to recommend Oxfam, for example, because Oxfam does not publish “high-quality monitoring and evaluation reports on its website” and implements many programs that GiveWell does not think are particularly effective. So how do we know that Oxfam does any good? Yet this is a charity that Singer has extolled many times. Academic research on foreign aid has painted a similarly bleak picture. There is little evidence that the trillions of dollars donated to developing countries has helped them develop. While academics typically study government-supplied aid rather than philanthropic donations, the lessons are pertinent. Aid is often lost to corruption, or misused because donors do not understand foreign cultures. Aid can even stoke conflict and damage institutions, as groups compete for access to foreign funds. Well-intentioned aid efforts frequently illustrate the law of unintended consequences. A good illustration is the poster child for aid, the malaria net, which is a cheap and effective way of saving lives. As the New York Times reported, many net recipients use them as fishing nets, which kill fish, destroy fisheries, and poison water sources, because malaria nets are treated with insecticide. Of course, not everyone misuses malaria nets, but the story illustrates an old finding in the foreign aid literature, which is aid interventions that seem obviously good frequently go awry. Singer understands these problems and argues that aid interventions should be evaluated with randomized controlled trials—the state of the art for distinguishing good from bad—and he is right. But these experiments are costly and, by their nature, of limited value since their results cannot easily be generalized. Most charities do not use randomized controlled trials to evaluate their programs because donors want to feed big-eyed children in run-down villages, not the First World academics who conduct the trials. So what’s an effective altruist to do? The utilitarian imperative to search out and help the people with the highest marginal utility of money around the world is in conflict with our limited knowledge about foreign cultures, which makes it difficult for us to figure out what the worst-off people really need. * For this reason, donations to Little League and other local institutions you are familiar with may not be a bad idea. The most good you can do may turn out to be—not much. *Correction, April 1, 2015: This article originally misstated that the utilitarian imperative is to find the lowest marginal utility of money. It is to find the highest marginal utility of money.